Success running a dispensary requires boldly jumping in without kidding yourself about how much you don’t know. Cannabis is a particularly challenging industry because entrepreneurs have to focus on the traditional business metrics — such as driving revenue and reducing operational costs — as well as the constantly changing risk and compliance guidelines unique to cannabis dispensaries. A cannabis entrepreneur doesn’t need an MBA from Wharton to succeed (although that certainly won’t hurt), they do need to become proficient in all aspects of business performance if they hope to become profitable. Mastery takes passion, perseverance, a strong support system and a resilient spirit. I’ve watched plenty of starry-eyed dispensary owners who never got off the ground because they weren’t ready to put in the work. Cannabis may be the hippest industry on the block right now, but the truth is “cool” doesn’t make money. Entrepreneurs, and particularly those with little experience, need to move across the four stages of the competency continuum if they want to succeed. Those stages are the same for any new endeavor, whether you want to cross continents, win Grand Slam tournaments or build retail empires. For better or worse, this is where many entrepreneurs start. Motivated by good intentions, an entrepreneur often jumps feet first into a murky new venture, unaware of the dangers beneath the surface. Perhaps someone dives in with a background as an inventory manager. They understand what sells, but don’t know how to handle operations. Or perhaps the person has expertise in marketing, but doesn’t have a clue about how to manage EBIDTA — or even understand what it is. A novice dispensary owner needs to maneuver quickly out of this dangerous phase. Consider that 20 percent of businesses fail within the first year, according to U.S. Bureau of Labor Statistics. That’s because entrepreneurs still don’t know what they don’t know. At this stage, they’re open to almost every potential business risk and can easily be blindsided. Advice: Learn. Get out of this phase by surrounding yourself with trustworthy and wise mentors willing to coach and advise you around pitfalls. Everyone has blind spots, so check your ego. It’s imperative to have people willing to point out your weaknesses and teach you what you need to learn, or at least introduce you to who you have to hire, to get you out of this phase. At this phase, the entrepreneur is woke to the fact that there’s still much to learn. They can see their own shortcomings as they compare themselves to others in the industry. The best entrepreneurs will experiment at this phase to fix their problem areas. 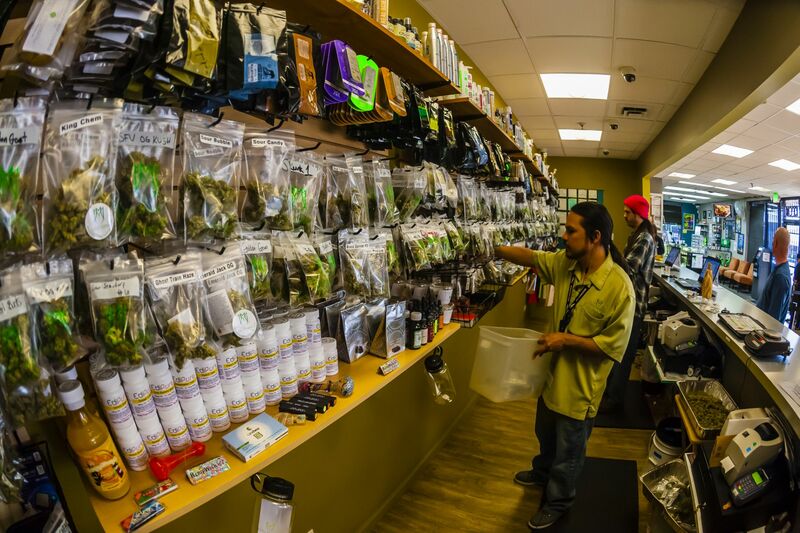 If their budtenders are weak at sales, they may offer better training. If inventory often runs low, they may harness data to get a clear sightline into stocks. The key is to fail fast. Few entrepreneurs have the time or resources to linger in this phase for long. Advice: Take calculated action. If there’s an area that needs fixing, take thoughtful action. Often times, entrepreneurs are flying the plane while they’re building it. But it pays to act with purpose. What tools or data can help inform a decision? Who are the people you can turn to gut check yourself? It’s hard to take a pause in the face of a difficult business decision, but it’s often well worth it in the end. In this phase, an entrepreneur feels proficient at their business. They’re focused on everyday operations and have concrete plans to scale and drive expansion. Dispensary entrepreneurs who reach this phase are executing well and enjoying some success. Their business has solid sales. Customers are loyal and provide bankable repeat business. It’s almost as if this business could be put on auto-pilot — which would be a mistake. Complacency can backfire and prevent entrepreneurs from reaching the final and most profitable stage of competency. Advice: Don’t rest. At this phase, an entrepreneur might believe they have it all figured out. They don’t. No one ever does in business. When you’re not paying attention is when the latest trend or scrappy competitor can take you out. Never get too comfortable. Rely on your advisory board to provide constructive criticism, poking at your weaknesses and providing a fountain of ideas and improvements. At this point, real acceleration happens. The business is an expanding enterprise. These dispensaries are not only profitable, but they’re considered best-in-class — the ones that up-and-comers emulate. Entrepreneurs at this phase have honed business processes and methods. They’re well connected, because success doesn’t happen in a vacuum. Many at this phase are also considered thought leaders or even visionaries for the industry. Innovation becomes part of the DNA of these companies, breeding even more success. Advice: Set the standard. If you’ve risen to this level of competency, congratulations! Now it’s time to pay it forward. Mentor the next crop of entrepreneurs, helping them across the competency continuum faster. More businesses operating at high levels elevate the entire industry. At every stage, business can be grueling. Allow yourself to be coached, act with purpose, never lose your competitive edge and mentor others. If you do those four things, success may not come easy – but it will look that way to those watching.